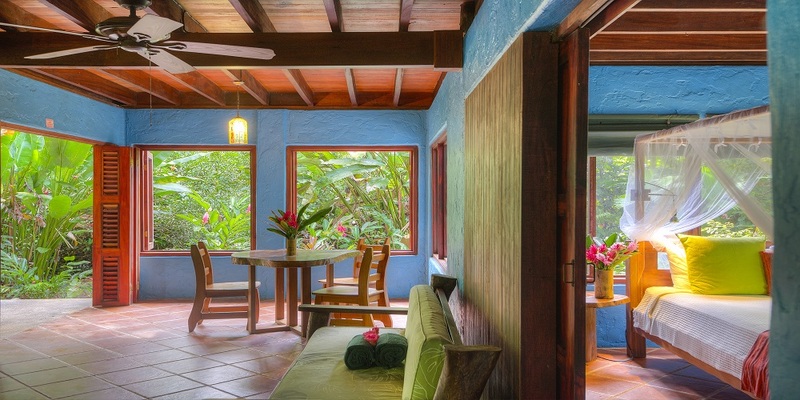 Playa Nicuesa Rainforest Lodge is a 165-acre private preserve located within the Osa Peninsula region. 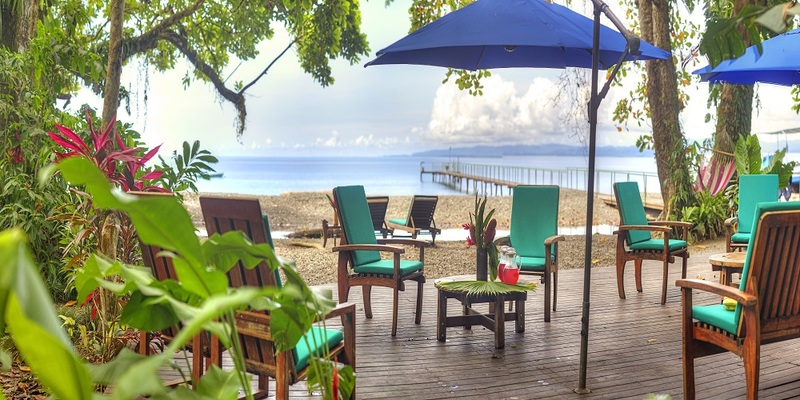 The lodge is nestled within the awesome blue-green waters of the Pacific Ocean, the lush rainforest of the 14,000 hectares Piedras Blancas National Park (a section of Corcovado National Park), and unspoiled remote beaches of the Golfo Dulce and Osa Peninsula. The lodge embraces conservation and harmony with nature in a perfect blend of comfort . It has a tasteful eco-friendly design constructed with naturally fallen trees and recycled materials, and powered with solar energy. 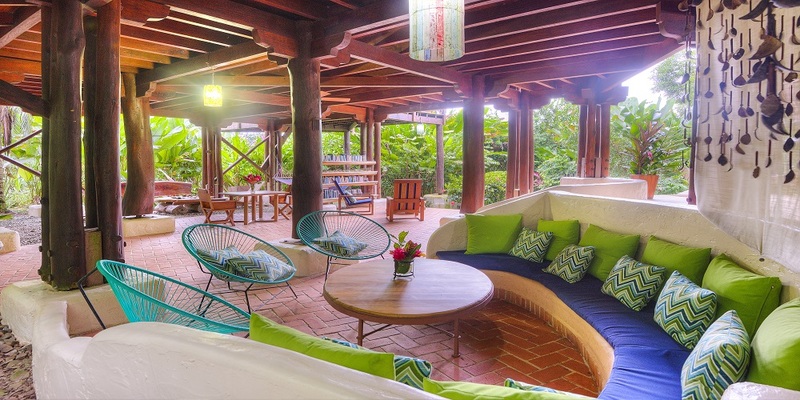 Four private cabins: three 1-bedroom and one 2-bedroom, canopied beds, ceiling fans, private terraces, private baths with hot water and open-air garden shower, full length louvre doors, private verandas with panoramic views. 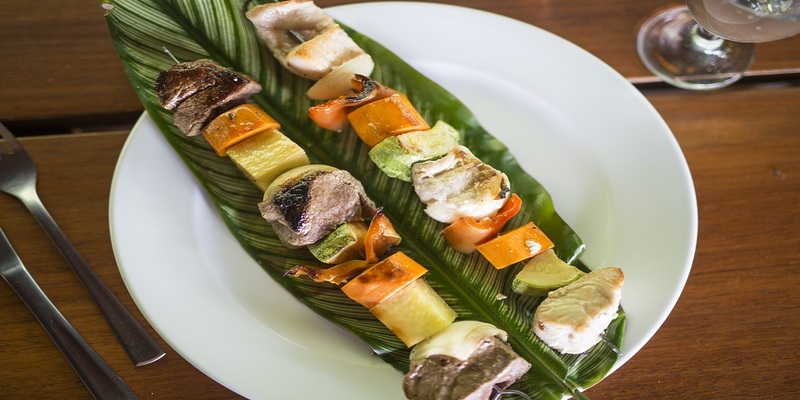 The dining room’s specialty is local cuisine, fresh fish, tropical fruits and vegetables. The 165 acre preserve abounds with tropical fruit trees bearing mangos, pineapple, starfruit, oranges, lemons, papayas, water apples, bananas, and coconuts. The fresh squeezed juices and homemade salsas are limitless! - Roundtrip ground/flight/boat transfer San Jose Hotel-Lodge-San Jose hotel included. Please add US$ 52 per person for additional transfer (roundtrip) from/to hotels outside San Jose like Xandari, Finca Rosa Blanca, Bougainvillea, Alta. The flights might be booked to Golfito or Puerto Jimenez. Nevertheless please note that the latest pick up and drop off time at the airstrips is 3pm. For a 4 NT package please inquire! Christmas, New Years (Dec22,2019-Jan01,2020) a min. stay of 4 nights is required. Easter (14APR-21APR19) a min. of 3 nights is requested.